One again, Rhonda Rousey came back to UFC 207, this time only to get destroyed by Amanda Nunes ending probably her career. After getting knocked out by Holly Holm in her first MMA loss, Rhonda Rousey made her return at UFC 207 but only to face another defeat. She was facing Amanda Nunes in a return match that did not even last a minute. 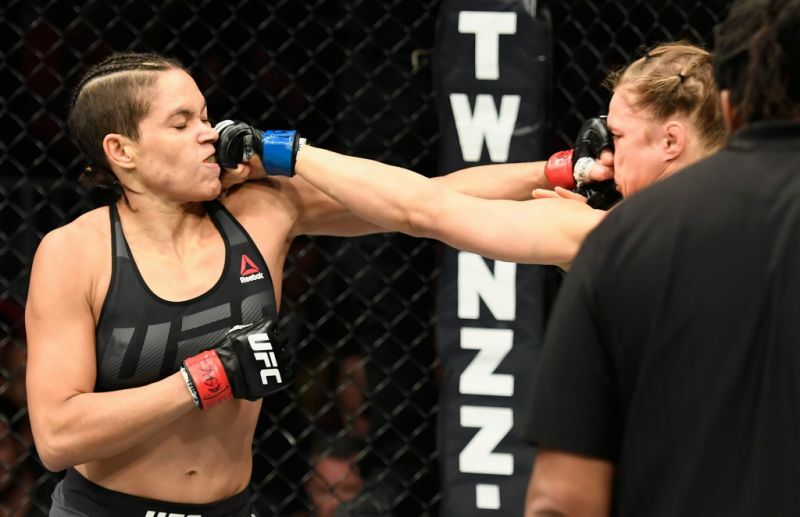 After just 48 seconds into the match, Rhonda Rousey received some 27 punches from now the bantamweight champion Amanda Nunes, not only ending the match at UFC 207 but probably ending Rousey’s career. Here is how Rhonda Rousey got beaten by Amanda Nunes. Nunes shouted to the crowd after her win. “I knew if I had a chance in the beginning of the fight, if she gives me the opportunity, that I would finish her there,” said Amanda Nunes, who battered Rousey on Friday at the T-Mobile Arena in Las Vegas to retain the UFC bantamweight title for the first time. Ronda Rousey has now a career stats of 12-2.